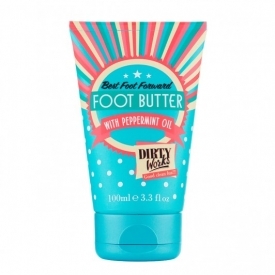 An intensely nourishing treat for feet with a hydrating, buttery blend of moisturising Sweet Almond Oil and Shea Butter to banish dry, rough skin. 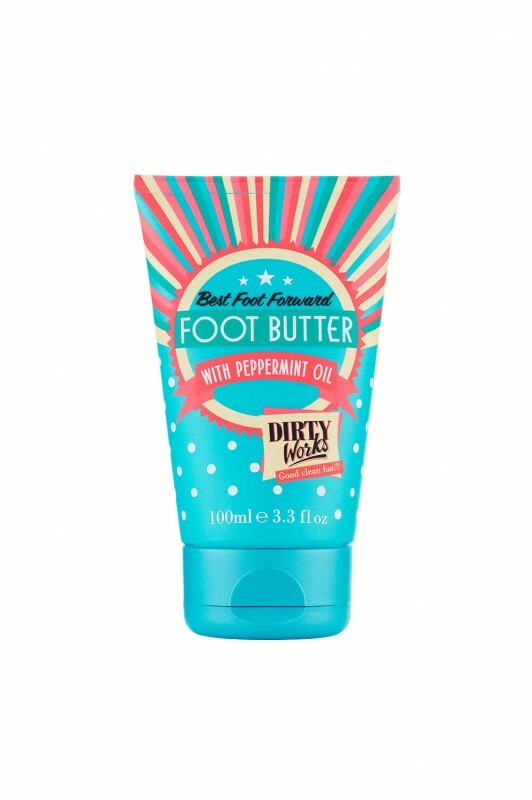 Peppermint and Tea Tree Oil also help to invigorate tired, aching feet leaving them refreshed, soft and super smooth. Massage a generous amount into clean feet. Allow to dry completely before dressing. Aqua (Water), Cetearyl Alcohol, Paraffinum Liquidum, Prunus Amygdalus Dulcis (Sweet Almond) Oil, Glyceryl Stearate SE, Butyrospermum Parkii (Shea) Butter, Sorbitan Stearate, Glycerin, Sorbitan Laurate, Sodium Carbomer, Melaleuca Alternifolia (Tea Tree) Leaf Oil, Tocopheryl Acetate, Mentha Arvensis (Peppermint) Leaf Oil, Propylene Glycol, Phenoxyethanol, Methylparaben, Ethylparaben, Limonene. * Don't use on broken cracked skin as it will sting! * Good price at Sainsbury's £2.50 but Dirty Works is £4 plus postage and amazon an amazing £49!!! * Easy to use upside down tube plastic ... recyclable? A good priced foot cream that smells good and cools tired feet. "* Don't use on broken cracked skin as it will sting!"